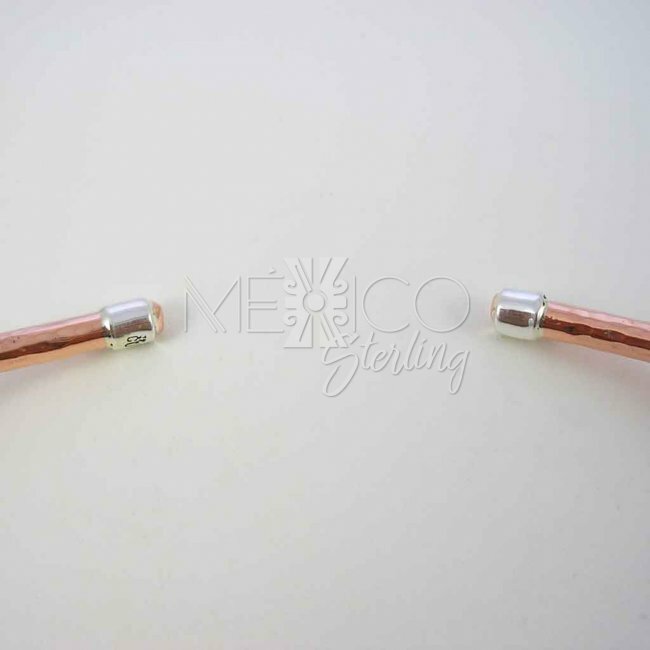 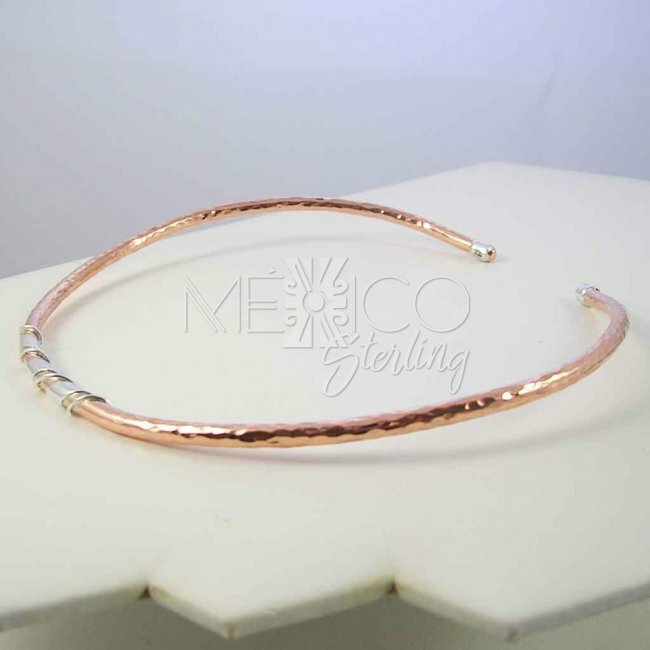 Shiny Sunset Copper and Silver Choker [MMCH] - $28.00 : Mexico Sterling Silver Jewelry, Proundly from Mexico to the world. 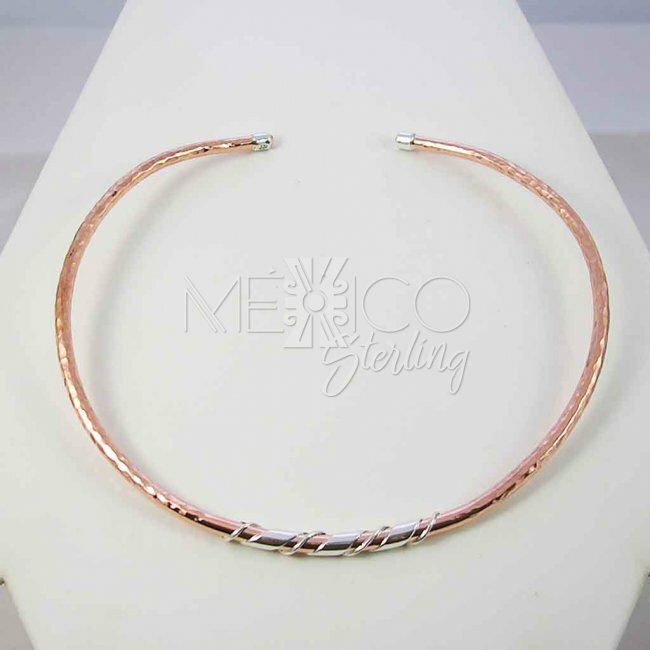 This beautiful hammered, handmade copper and silver choker makes a great addition to any woman's jewelry collection. 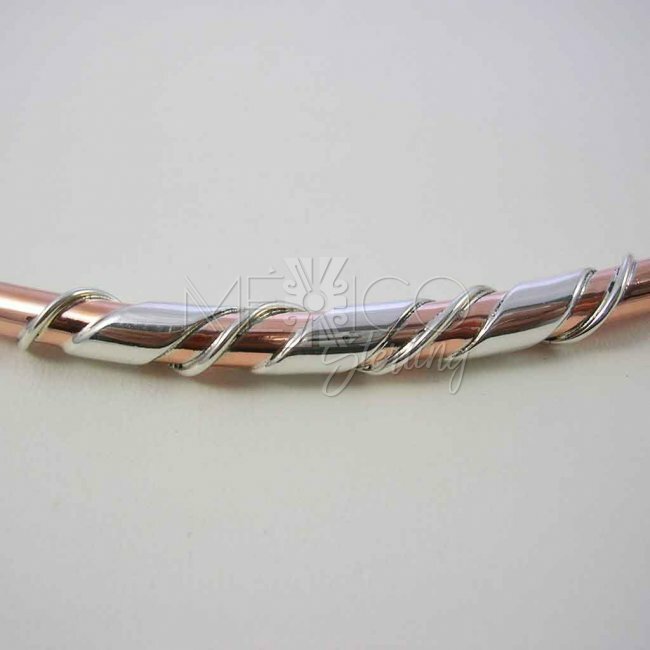 It's a sturdy piece of jewelry, crafted with excellent workmanship and beautifully finished. 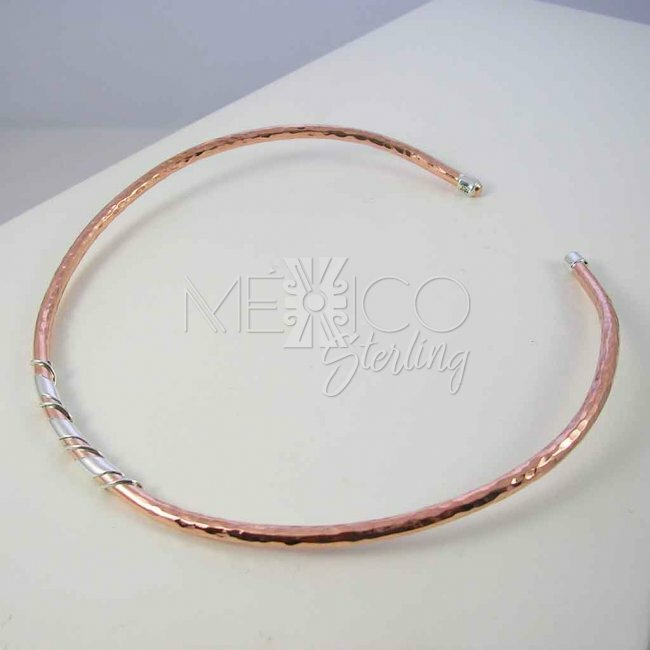 Guillermo Arregui is the creator of this nice piece that mixes different elements to built a great jewelry ornament. 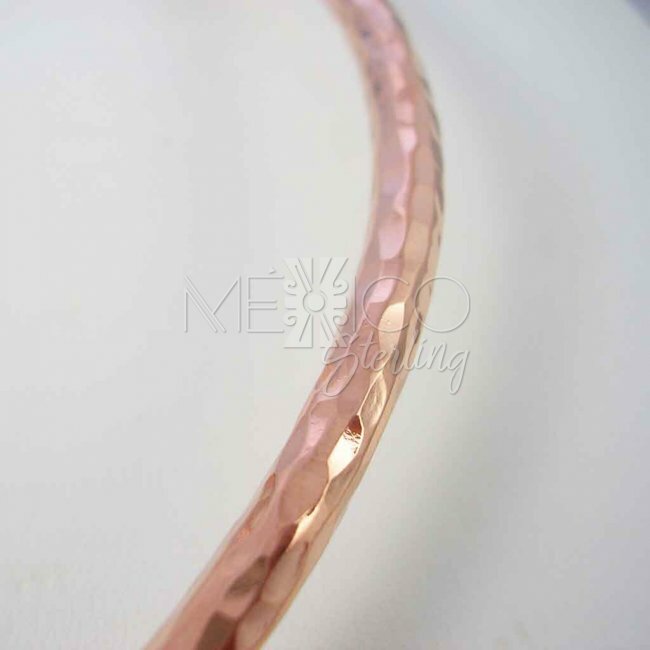 Please take a look at the additional photos, for more details.